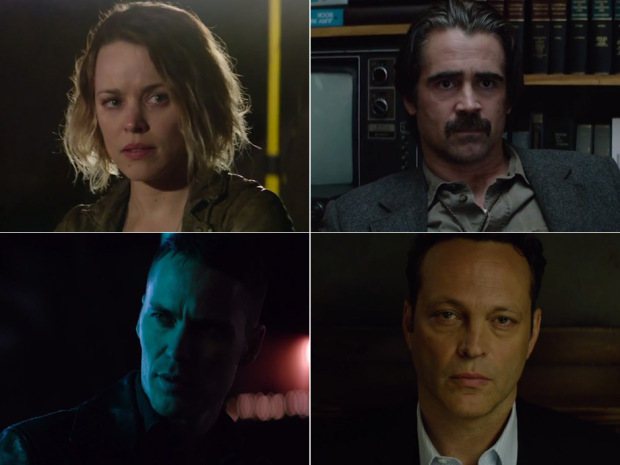 The second season of True Detective has taken some hard knocks from viewers who are steamed that creator and writer Nick Pzzolatto hasn't created a new series of the show that would better compliment the masterful first season. I nod, of course, acknowledging the lack of polish in some of the more ambitious bits of dialogue and agree, as well, that this investigation is far more ambiguous than the supernatural aspects of the serial murders that were the focus of the first set of episodes. Acknowledging that, I think Season 2 has its own style and embedded genius. This is classic noir material, worthy of Hammet, Chandler, Cornell Woolrich , Jim Thompson; it is a world of scummy characters and their soulless undertakings , darkly lit and dark-hearted. If the investigation is unclear at times, but not incoherent, and this is the tone and spirit of this kind of story telling, which involves very screwed up people trying to redeem themselves by trying to discover a hidden truth behind a fatal incident. Whether the characters find redemption of any kind--a second chance in a job or relationship, a healed relationship, self-acceptance--is up in the air at this point, and that gives this show a Calvinist aspect that is simply irresistible: none of the nominal heroes have an idea whether the investigation they're conducting will benefit them in this life (or the next, for that matter), but their hard work in applying their professionalism toward an inevitable discovery of ugly facts can be construed as hints, clues, indications of their chances of achieving some relief from their existential dilemmas. And for all the awkward philosophizing? Fine with me: these are cops and creeps with an appreciation of nuance and distinctions that abound in the life, but when they try to articulate it, it comes out awkward, confused, lacking an over all clarity. For all the plans, explanations, justifications and action , these are cops and creeps who are stumbling over themselves looking their lost selves in the middle of a crime scene. It is a perfect, beautifully rendered muddle.